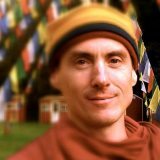 Come join us for an afternoon discussion of some of the most important principles in the Buddhist tradition of enlightenment with Mahayana Dzogchen Dharma teacher Erik Drew Jung. We will explore the most basic questions of life: Who am I? Where did I come from and where am I going? These teachings are given freely. Donations are welcome! For more information contact Judy at (503) 890-2139 or jebros@gmail.com.